News: Khattab To Use Kessler, WBO Update, Witherspoon Jr.
Abdul Khattab (15-2-1, 4 KOs) will have a familiar face in his corner when he enters the ring for his eight-round Scandinavian middleweight thriller against Oliver Flodin (4-0) on January 19 at the Struer Energi Park in Denmark. 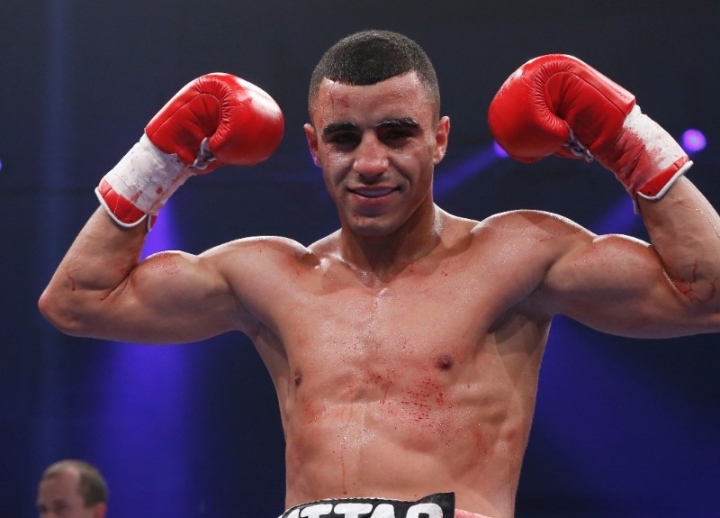 Khattab is fighting on the undercard of Dina Thorslund’s WBO Female World Super Bantamweight title defence versus Alesia Graf, and will be joined by coach and mentor, Mikkel Kessler, the former five-time World Champion. Khattab and Kessler were last in action on October 27 at the Sport and Congress Centre in Schwerin. Here, the 25 year-old scored a draw against Ronny Mittag, in a fight both men believed they should have won. Dina Thorslund tops the bill in Struer, defending her WBO Female World Super Bantamweight title against Alesia Graf, while former European Champion Dennis Ceylan rematches Jesus Sanchez for the EU Featherweight crown. Oliver Flodin faces Abdul Khattab in a Scandinavian middleweight thriller, heavyweight hope Kem Ljungquist takes on Dominik Musil, Lolenga Mock continues his World title chase against Mateo Damian Veron, Mikkel Nielsen meets Bulgaria’s Angel Emilov, and Adam Bashanov faces Ivan Nikolov. In a festive family atmosphere, the World Boxing Organization (WBO), through its successful WBO Kids Drug Free program, delivered bicycles, school supplies and sporting goods to the children of Cubuy in the town of Canóvanas, Puerto Rico. The event was led by the WBO President Francisco ‘Paco’ Valcárcel, Esq, coach Jesús ‘Chuito’ Ayala, and referee José H. Rivera. “Every day we work with children to be world champions in the ring or, more importantly, in life. We work to be disciplined for life. We thank the WBO for helping in this process with their activities for the children, who are the future”, said coach Ayala. WBO President Valcárcel told everyone present that “the work everyone is doing here is tremendous. Thanks to people like ‘Chuito’, who work very hard and unselfishly for the benefit of the children, that are our priority. Here we give them some gifts they can take home because they behaved well. If they respect their elders, behave well, and respect their parents, the Three Kings will arrive”. Participating in the event were interim Latino WBO Heavyweight champion Víctor Bisbal, WBO Latino Jr. Welterweight champion Jean Carlos “Lobo” Torres, WBO/NABO Jr. Flyweight champion Wilfredo “Bimbito” Méndez, WBO Latino Jr. Bantamweight Champion Yenifel Vicente, and WBO Latino Featherweight Champion Luis “Popeye” Lebrón. Other boxers who were present included Alberto Mercado and David Reyes and amateur boxer Armani “The Legacy” Alméstica. Also in the event were managers Raúl Pastrana, Margaro Cruz and José Ortíz; coaches Jesús “Tongui” Ortiz, Yoel “Yowy” González, and Oro Lebrón. The referee Roberto Ramírez,Jr., physical trainer and nutritionist DJ, and the Vice President of Spartan Boxing Club Mayra Pastrana also attended the event. For the WBO, Executive Director of the NABO / Intercontinental Diana Meléndez, the Treasurer Adolfo Flores, Vice-Chairman of the Championship Committee Enrique Mendoza, Esq, and Ratings Committee Chairman Edgardo López Sasso were present. WBO Kids Drug Free is an international program aimed at children and young people in order to carry a message of drug prevention and motivate them to continue studying, using sports as a tool to stay on the right path, as well that support causes directed to those in need in order to ensure a better quality of life. “In The Gym” will air at 9:30 am every Sunday morning on Fox Sports WNJE 920 AM – The Jersey. The show will also be streamed worldwide at 920TheJersey.com and will cover everything boxing related, including news, rumors and coverage of upcoming events. “In the Gym” will also interview some of the biggest names in the sport, such as world champions, prospects, trainers and promoters. A former professional fighter who was raised in a family of boxers, Tim Witherspoon Jr. was taught the value of hard work by his father, two-time heavyweight champion of the world Tim Witherspoon Sr. After spending 10 years as a professional fighter, Witherspoon retired and turned his passion for boxing into a career in personal training to give back to his community and inspire a generation of future fighters and fitness fanatics, alike. He recently launched Witherspoon Boxing & Fitness in Bristol, PA.
Co-host Tim Kudgis was the former host/producer of “ATG Radio” from 2010-13 as well as served as Director of Marketing for the former iPPV provider GoFightLive.tv. He has also contributed to Boxingscene.com & WorldBoxingNews.net. WNJE (920 AM) is a sports talk radio station in Trenton, New Jersey. The station is owned by Connoisseur Media, through Connoisseur Media Licenses, LLC. and was first established in 1942. Witherspoon Boxing & Fitness not only provides boxing training, but also offers a fitness/crossfit gym and yoga studio and provides a wide array of classes by a phenomenal team of instructors. It is located below the iconic Grundy Clock Tower at the Historic Grundy Commons in Bristol Borough, PA, on the corner of Canal and Jefferson Streets. For more information, visit witherspoonboxing.com.